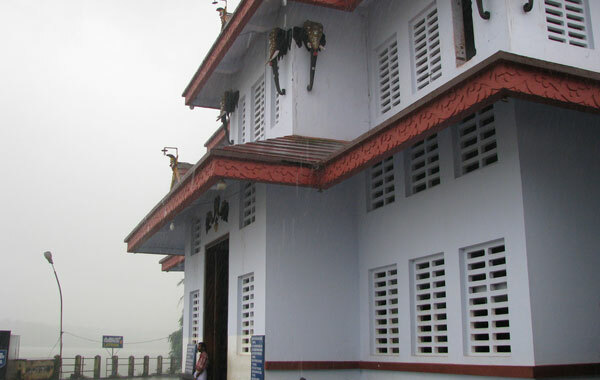 Parassini Madappura Sree Muthappan Temple located on the banks of the river Valapattanam is one of the famous shrine in Kerala. 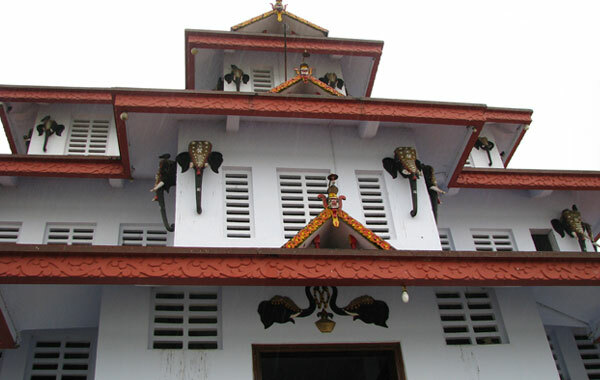 The shrine is dedicated to Sree Muthappan. Parassini Madappura Sree Muthappan Temple is not a Kshethram but it is a madappura. Unlike other temples, the devotees can 'interact' with the God as they pour out their grievances in a free-wheeling 'chat' with the tastefully decorated "Muthappan Theyyam", an artist who assumes 'divinity' by representing the God. The theyyam responds with convincing solutions, which are believed by the devotees as sacred and that of the God. Muthappan theyyam then parts with the liquor and elder male devotees take it as ‘necter’ while the other offerings are set apart for dogs, considered the Lord’s pet animal, which eagerly wait outside the temple to pick up the dishes. Sree Muthappan is always accompanied by a dog. Here dogs are considered sacred and can be seen in large numbers around the temple. Two carved bronze dogs at the entrance of the temple symbolize the bodyguards of the God. When the Prasadam is ready, it is first served to a dog that is always ready inside the temple complex. In normal days the Sreekovil Nada opens at 4 am in the morning. After that the procession accompanying “thalavadyas” (musical performance with traditional instruments such as Chenda, Chengila, Kombu, Kuzhal etc.) 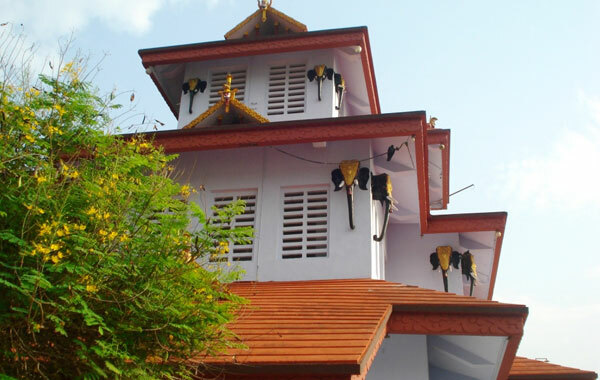 brings the “thiruroopam” (holy statue) to the Sreekovil. After bringing the thiruroopam, the usual conversation of Sree Muthappan with his Madayan begins. In such conversation Sree Muthappan will open his mind to his Madayan and the Madayan accomplishes the wishes of the Lord. Toddy, an alcoholic drink extracted from coconut palms is the main offering to the deity. 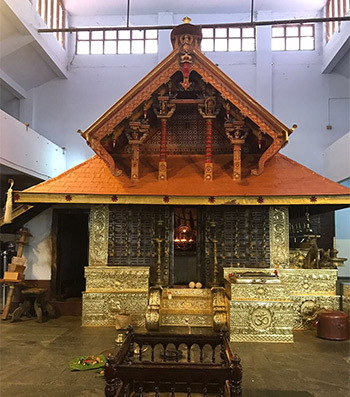 This centre of worship and faith has in store many unique practices and rituals, and the temple architecture itself stands testimony to this aspect. 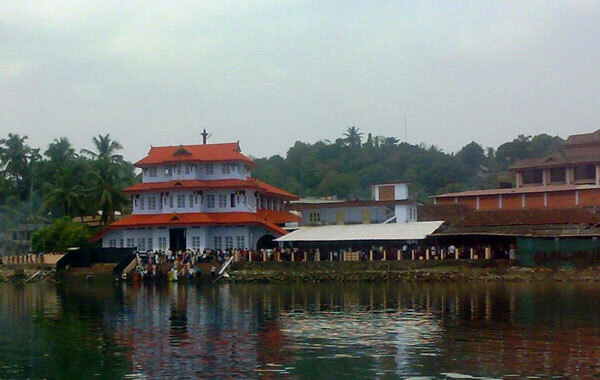 Located 20 km away from Kannur, a northern district of Kerala, the Parassinikadavu Muthappan (Siva) Temple on the banks of the Valapatnam River attracts people from all sections of the society; irrespective of religion, caste and promotes the essence of "Vasudaiva Kutumbakam - The whole world is one family." The origin of the Muthappan temple is connected to the appearance of a child who roamed the region with a string of interesting incidents and later vanished without a trace. 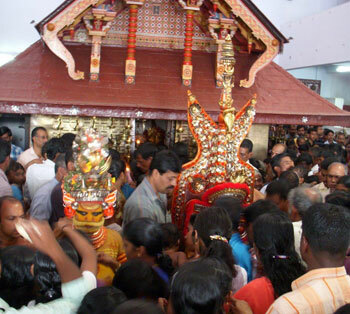 The incidents up to the point of his disappearance later made the denizens feel the divine presence of Muthappan (Siva) who immediately erected a place of worship, which today is popularly known as the Parassinikadavu Muthappan Temple. 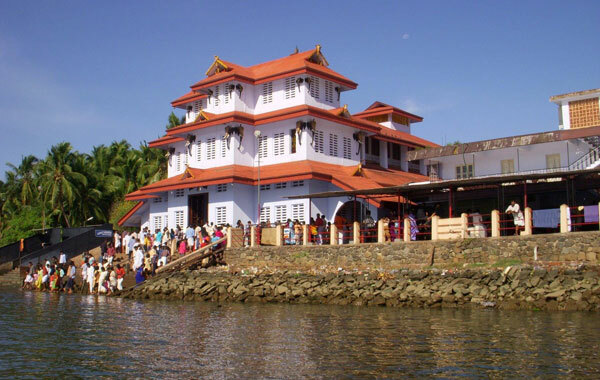 The temple is also a popular destination for travellers and pilgrims to savour the charm of Theyyam, a ritual that is performed here on a daily basis. Men adorning masks and costumes with a riot of colours perform this temple art form and it represents conflict between good and evil, with good ultimately emerging victorious. 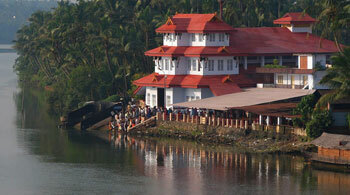 Nearest Railway Station: Kannur, about 20 km away. Nearest Airport: Mangalore, about 120 km from Kannur town; Karipur International Airport at Kozhikode, which is 93 km from Kannur town.